To visit Vietnam, nationals of most countries require a visa which must be obtained in advance from an overseas Vietnamese embassy or consulate. Visas are only issued on entry to the country in exceptional circumstances, such as natural calamity or departure from a country that does not have a Vietnamese consulate or diplomatic representative. A business or tourist visa for Vietnam can be obtained on submission of the relevant application form, photographs, passport (valid for at least six months) and an invitation letter or other documents indicating the purpose of the visit. Citizens of the following countries do not require a Vietnamese entry visa for stays of specified periods, ranging from 15 to 30 days: Denmark, Finland, Norway, Sweden24; Japan, Korea25 (South); Laos26, Indonesia27, Malaysia, Singapore, Thailand, Philippines, and Cambodia. Moreover, those entering Vietnam with diplomatic, official and special passports enjoy entry visa exemption for up to 90 days in accordance with bilateral treaties (to date, Vietnam has signed 54 bilateral treaties on entry visa exemption)28. Single or multiple-entry visas are available for business and tourist visas. After entering Vietnam, individuals may obtain an extension to their current visa, allowing a maximum stay in the country of twelve months, after which a new visa must be obtained29. Recently, there appears to be stringent scrutiny on visa renewals and it is becoming more common to see visas issued with the period of one month only where evidence of a work permit or tax code is not furnished. The fee for obtaining a new visa and a visa extension in Vietnam is from US$25 to US$100. The residence permit costs from US$60 to US$100. Business visas require the sponsorship of an organization operating in Vietnam. Single visas, valid for 15 days, can be granted to those persons applying entry without any invitation or sponsorship. Foreign investors or their assistants who enter Vietnam to implement licensed investment projects may be granted multiple-entry visas for a period not exceeding one year. These may be renewed for an additional one year period in accordance with the term of the contract. Residence permits are available to long-term expatriates working and living in Vietnam (please see H.3). All foreigners working in Vietnam and enterprises and organizations in Vietnam which employ foreign employees for more than three (3) months are required by law to obtain a work permit. 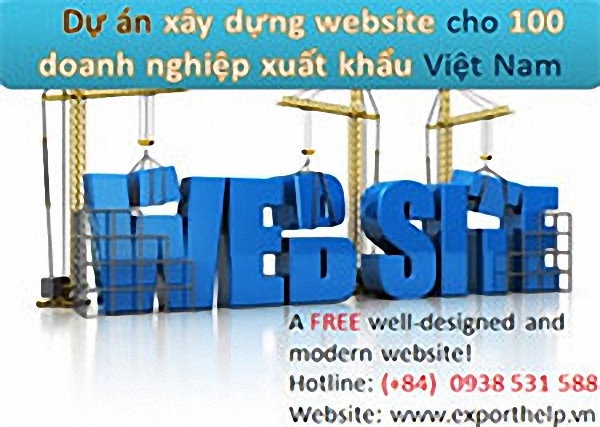 This is in accordance with their Vietnamese labor contract or assignment letter, except for the following: those working for less than three months, owner of a one member limited liability company or a Management, entering Vietnam to offer services, entering Vietnam to work/resolve an emergency technical or technologically complex situations and foreign lawyers 30. To obtain a work permit, a work permit application form must be submitted with the required documents attached (as listed on the application form). Work permit application forms can be obtained from the local Department of Labor, War Invalids and Social Affairs (DOLISA), which issues the work permits. The work permit is separate from and in addition to the need for a valid visa. The employer is required to apply for a work permit; however, the onus rests with the employee to provide all the necessary personal paperwork required for the work permit application dossier. Once issued, the work permit remains the property of the employer and must be returned to the Labor Department when an employee ceases employment with the employer. Work permit can be extended for a maximum duration of thirty six months for each extension. The application to file for extension must be lodged with DOLISA at least thirty days prior to expiry date. Temporary Residence permit/cards (TRC) are required for long-term foreigners living in Vietnam. However, the Government does not strictly enforce this rule and as a result, many foreigners do not have a TRC. To obtain a TRC, an individual must apply to the Police Department and establish that he or she is currently employed in Vietnam by producing a work permit. The period of TRC will be depended on the length of time on the work permit. The TRC replaces the need for a visa.